I love potato skins. LOVE potato skins. Yes, the greasy, oozy, devoid of a single nutritious calorie, feels-like-I-just-ate-a-brick and I’m going to totally regret this is the morning tater skins. So, I happened on a recipe by Ellie Krieger for these little taters as a healthier version and gave them a go. 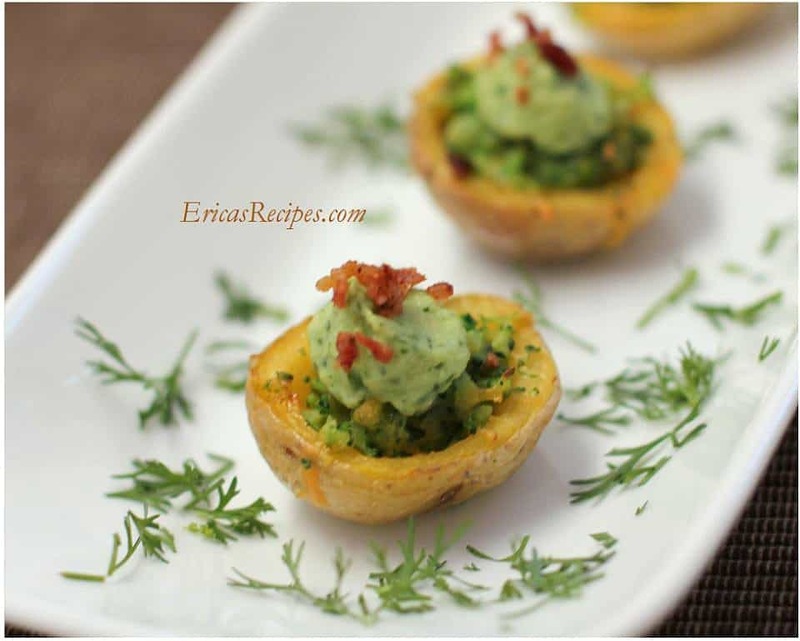 First they’re just pretty – little mini potato beauties with a rich green broccoli filling and silken avocado cream. Second, they are absolutely delicious! Avocado and broccoli – who’d have thought?! This recipe below is my adaptation. Preheat oven to 425. Lightly coat the potatoes in olive oil (I use an oil mister) and cook ~20min until just done. Cool. Raise oven to 450. 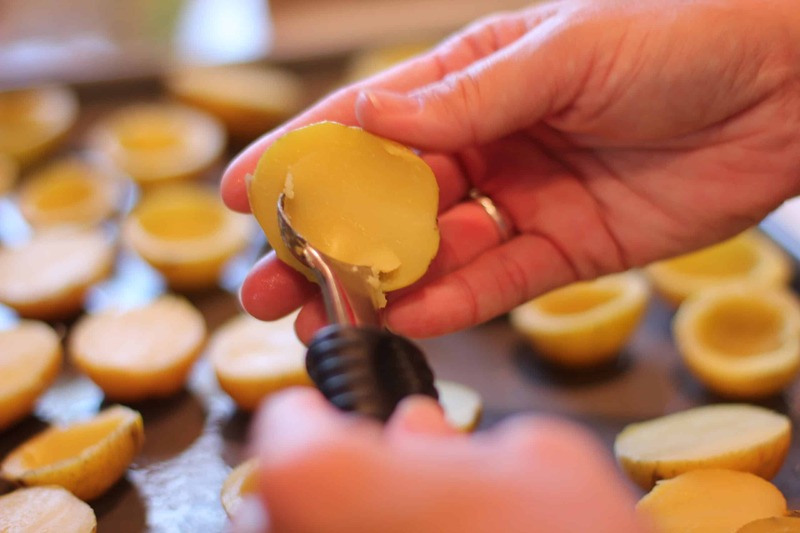 Slice each potato in half lengthwise, and with a melon baller, scoop all the flesh of the potato to make a potato skin shell. Spray or lightly brush inside of potatoes with oil; season with salt. Place skin-side down on a baking sheet, and bake until crisp and golden, ~20 min. In the meantime, boil the broccoli until ~3min. Shock in ice water and set aside. Cook the bacon until crisp and set aside. 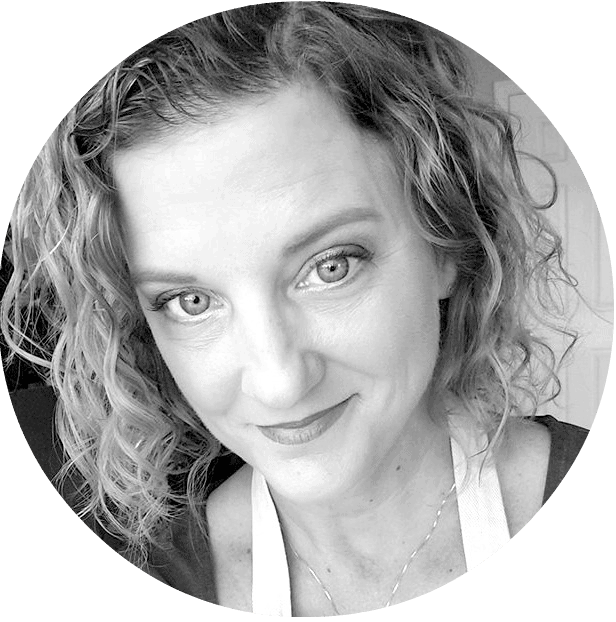 Chop the broccoli medium-fine (this is where a mini chopper or speed chopper comes in handy). Process the ingredients for the Avocado cream in a food processor until smooth. Combine the broccoli and cheese. 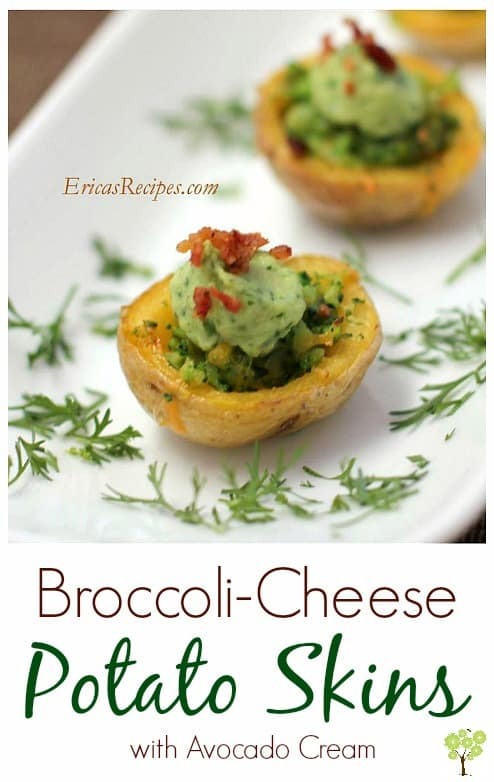 Spoon the broccoli filling into potatoes. Lower oven to 400, and bake the potatoes until cheese is melted, ~5 min. 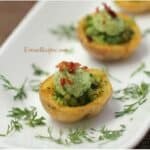 Serve with avocado cream on top and topped with crumbled bacon. Yields 8 servings.